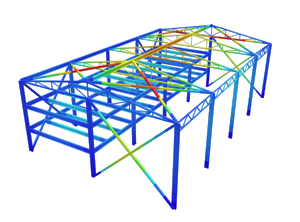 To get access to SkyCiv Reinforced Concrete Design software, you will need a SkyCiv Free account. 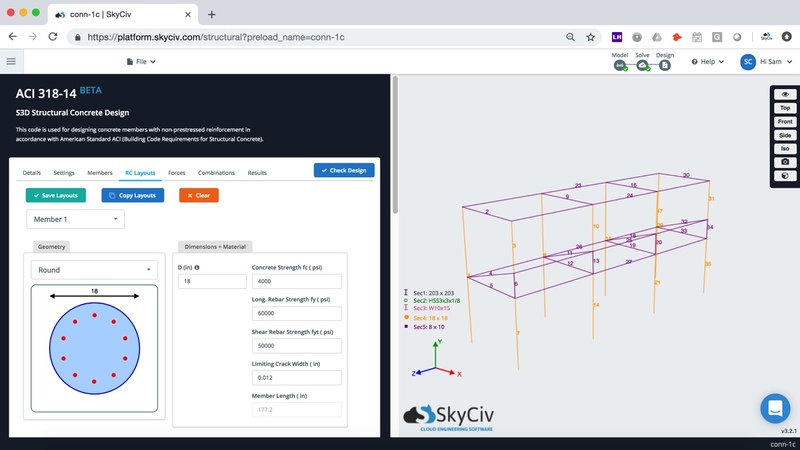 You will be able to access the software with some limitations – with a SkyCiv Professional Account, you will have access to all the functionality available in the entire platform. Our software is access 100% through a web browser, so there is nothing to download, install or maintain – simply signup for an account and get instant access! Design custom and standard concrete cross sections with reinforcement. 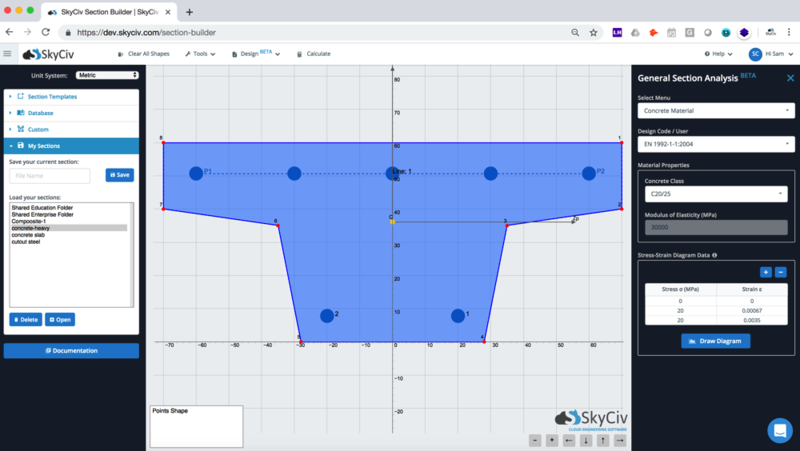 This software is built on top of the SkyCiv Section Builder – so you start by adding your concrete shape, then reinforcement, loads and solve to review the moment capacity and M-N curves. This powerful FEA software is the first of it’s kind and is 100% cloud based. The software can be accessed after logging in, under SkyCiv Section Builder.